Unfortunately for us analog lovers, real drum machines are slowly becoming a rarity. It’s disappointing in general that we have to say “real drum machine” to open this article because we still remember the days we would make simple two-loop beats on our MPC 1000 in our apartment studio back in college. In our opinion however, these pieces of music gear are still alive and well. Although VST software, MIDI keyboards and Digital Audio Workstations have taken the market by storm (rightfully so with technology and music equipment in full-effect nowadays), there are still some solid drum machines in the market today. We found a mixture of both new-age as well as vintage drum machines to take a look at (that are still in production or at least relatively available, aside from the few used over-priced models on eBay). Let’s face it: Your Akai Professional MPC 1000’s pitiful 16MB of on-board memory isn’t going to cut it. One of the reasons I personally bought an MPC 1000 is for the portability and capability of supporting a hard drive. I have a lot of sounds, tracks and sequences and need to back these up as much as I possibly can. I’m not too big of a fan of sliding a card in and out of my MPC either. 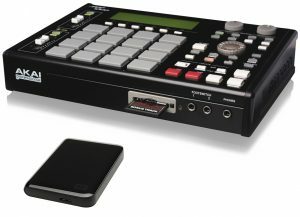 Always remember that you do have the option to connect your MPC 1000 to a Mac or PC via it’s built-in USB port and simply drag and drop your sounds between your set up and the MPC’s compact flash (CF) card. You want that 80 GB, don’t you? I thought so. Also note, this is to only increase your storage memory. If you are looking to increase your sample time, continue reading for a different device you will need. Which Akai MPC Should I Buy? Which MPC is the Best? The Akai MPC drum machine samplers and sequencers have been dominating the music industry in terms of music production centers for decades (first came out in 1984). Used by most professional music artists for any genre that exists (typically hip hop for sampling, but anything goes), these powerful machines can transform your songs into beautiful movements of sounds and are still very relevant even in this day and age of technological growth. If you’re ready to take your music production to the next level and buy an Akai MPC, we wanted to do the research and see which is best for your specific needs. Do you absolutely need a drum machine to make quality music? Not necessarily, as numerous artists all over the world use their computer and/or keyboards to create their sounds. However, if you like the analog route, or merely want to combine it with your computer with a digital audio workstation and other music production equipment (we know many who have hybrid setups), you’ve chosen the right machine to do so. You might also be performing live and want some pads to pound in front of your audience. Here is a simple guide to help you determine which MPC to buy. 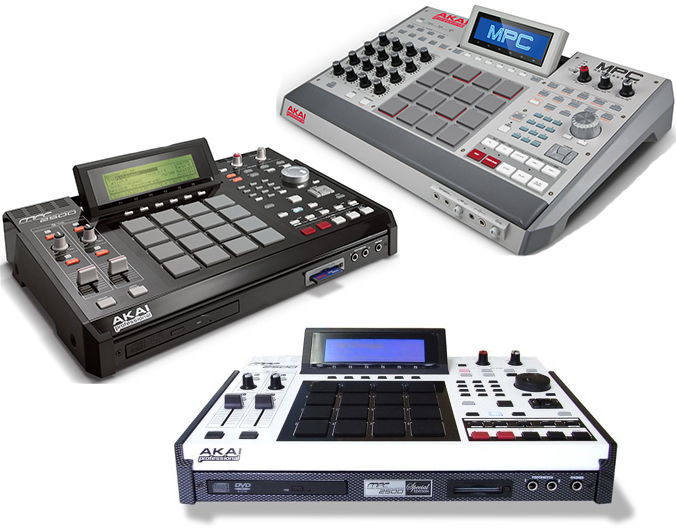 [Read more…] about Which Akai MPC Should I Buy? Which MPC is the Best?